Steak and Legs: Hellu Andru! Just saw a recent contest entry from AndroidPolice.com and it was amazing! Too bad I didn't win (probably have to enter to do that) but I still want it. 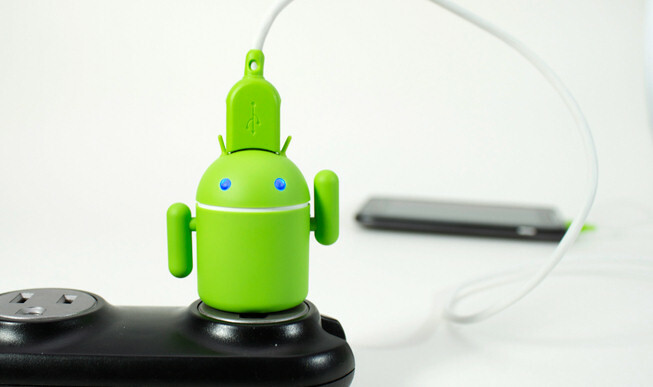 I know it's not something essential, but the Andru charger by Gen has to be the "cutest" tech gadget that I actually want to buy. I know it's just a charger, but really can't have enough of those lying around. It's also a really cool way of showing off your Android geekness. Check it out on the Gen website!